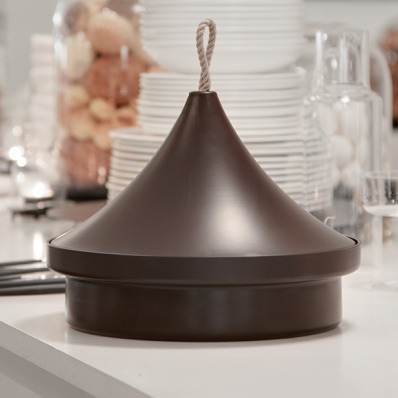 Traditionally made of ceramic, a tajine is a cooking pot formed by two elements: the pot itself in which the meal is cooked, and the lid in the shape of cone designed to capture the steam and to let the water return down into the pot. 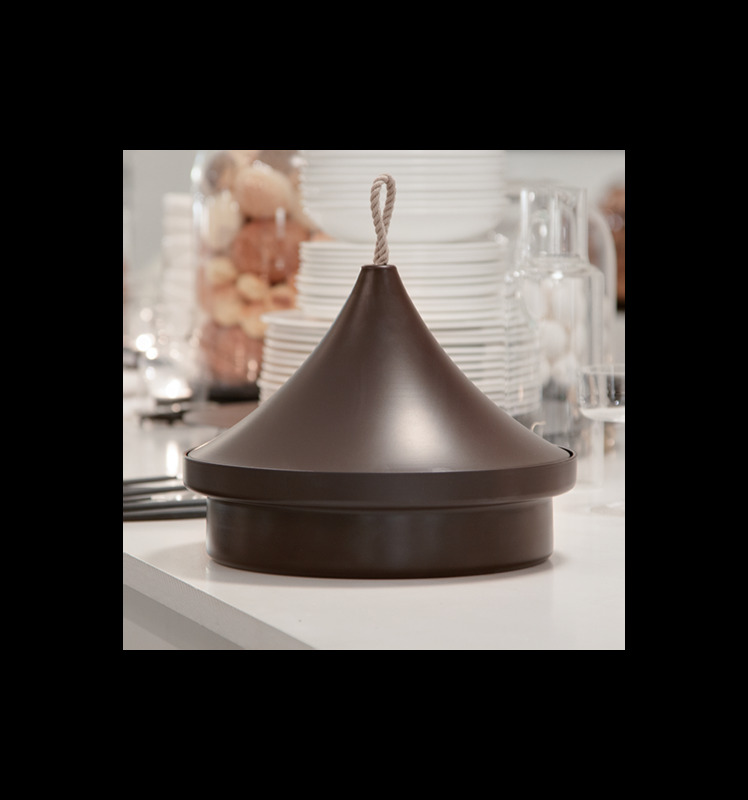 This modern version of the tajine is constructed out of highly conductive aluminum with a dark brown non-stick coating. The cord attached to lid never gets hot and makes taking the cover off during cooking a simple matter.